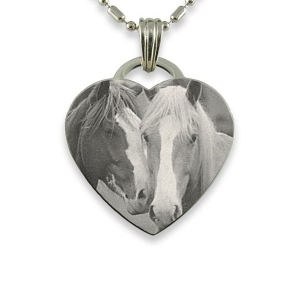 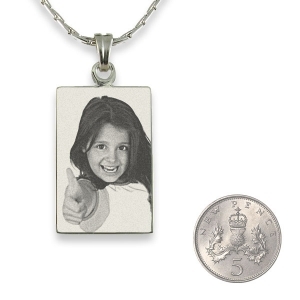 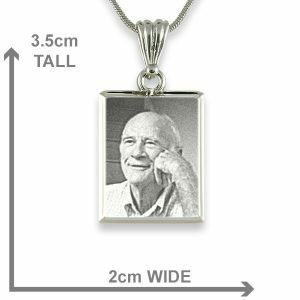 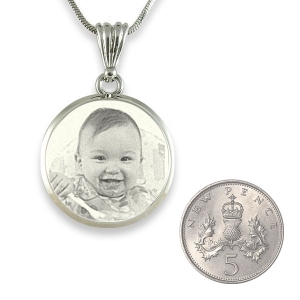 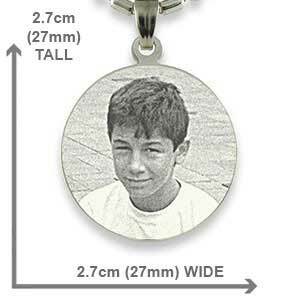 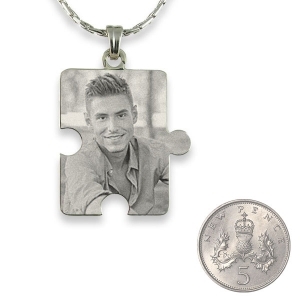 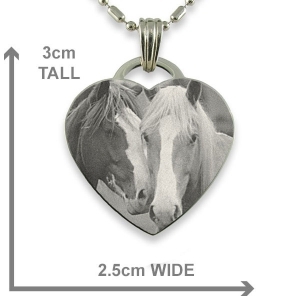 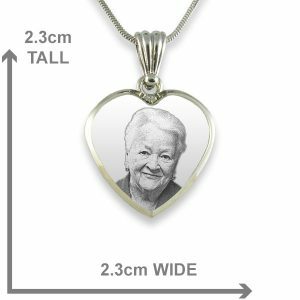 These 925 silver pendants are highly polished for photo engraving and produce a detailed reproduction of your photo. 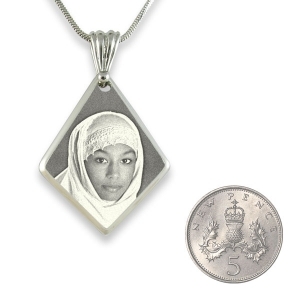 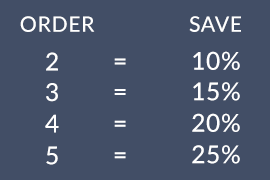 925 Silver stands for 92.5% purity . 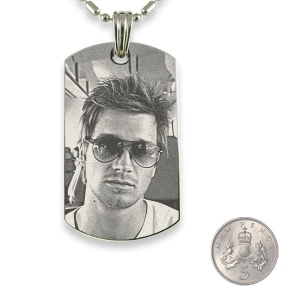 Also known as sterling silver. 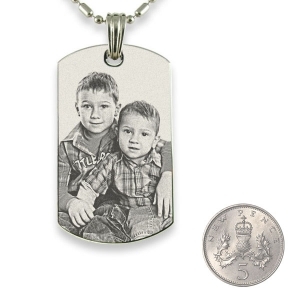 Each piece has a stamp on the back of the pendant saying “925 Silver” It appears near the base of the pendant. 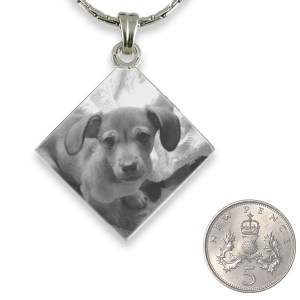 Use the preview option to find which shape suits your photo best. 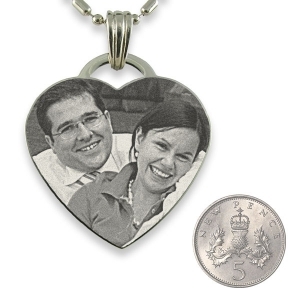 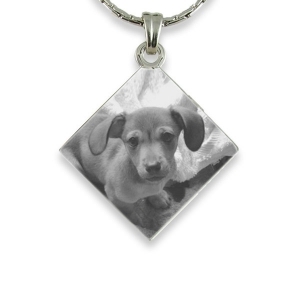 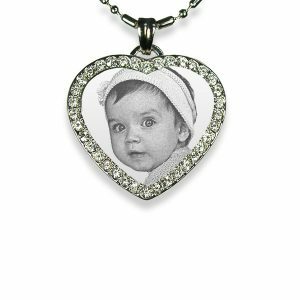 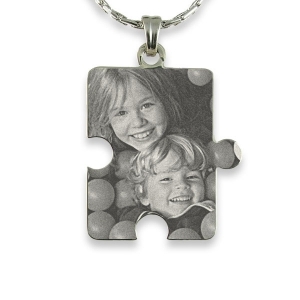 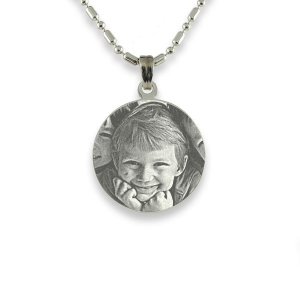 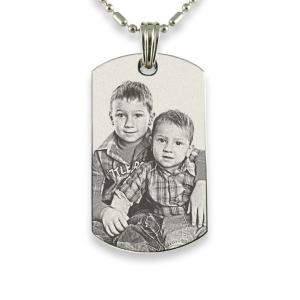 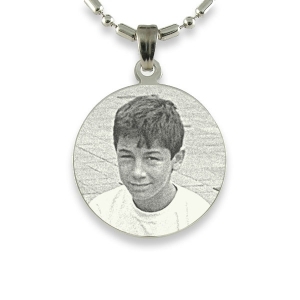 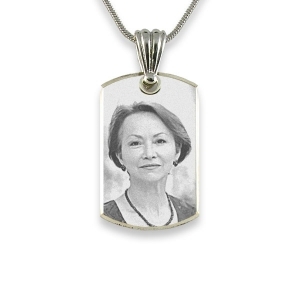 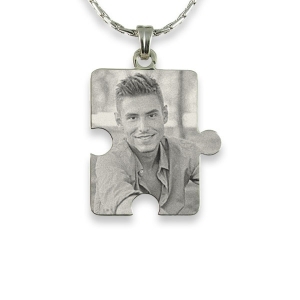 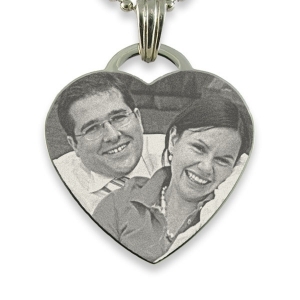 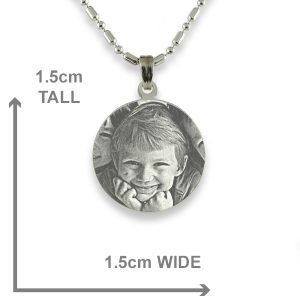 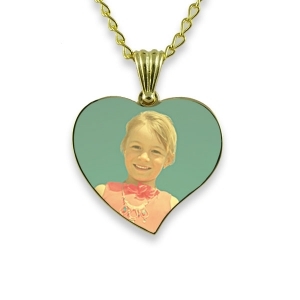 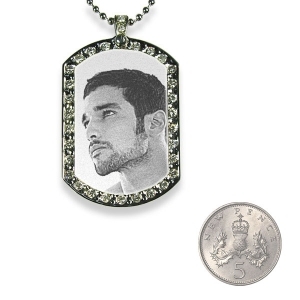 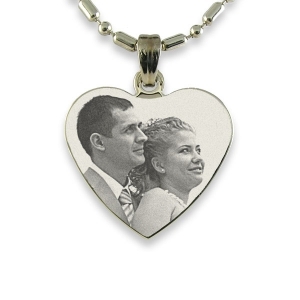 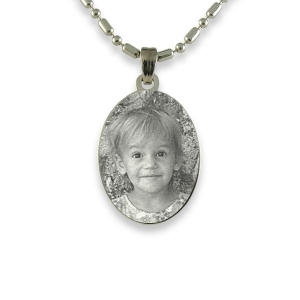 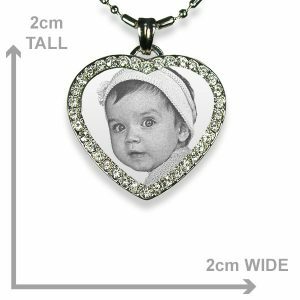 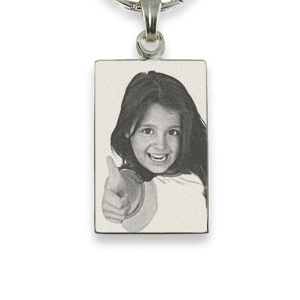 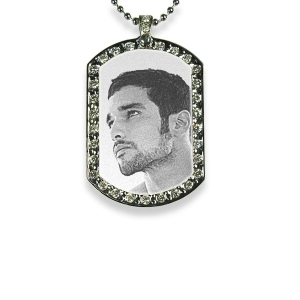 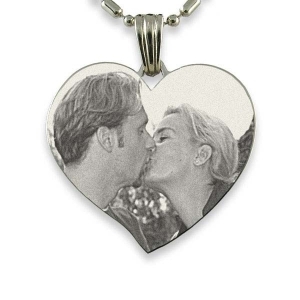 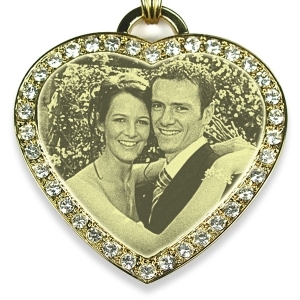 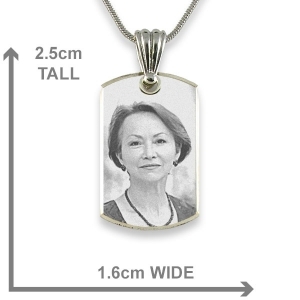 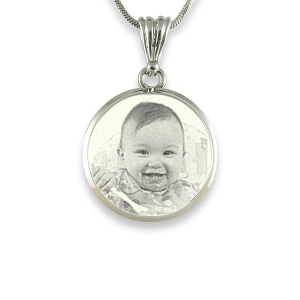 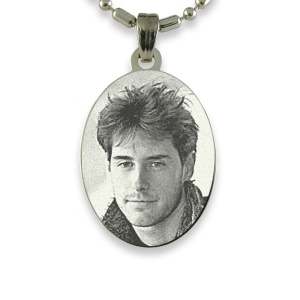 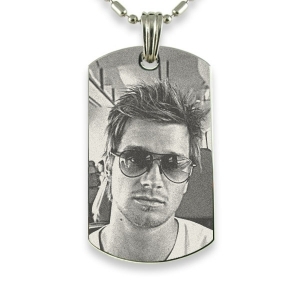 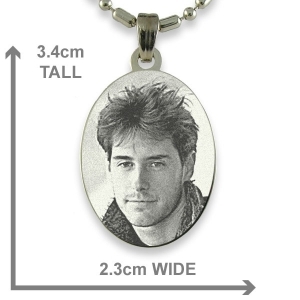 Photo engraving uses a diamond drill to impact on the face of the pendant in very fine detail. 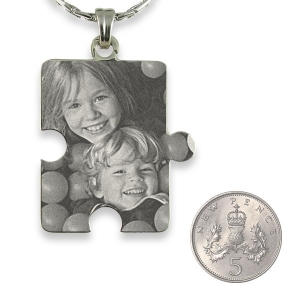 By creating contrast between light and dark areas of a photo a three-dimensional holographic effect is achieved. 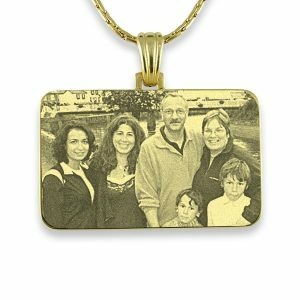 When the light falls on the photo the pendant has a magical glint. 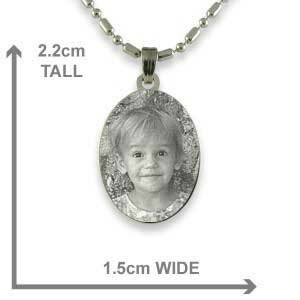 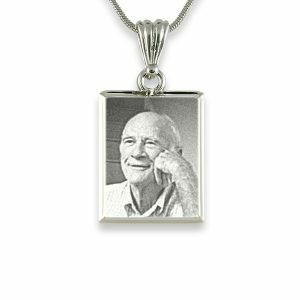 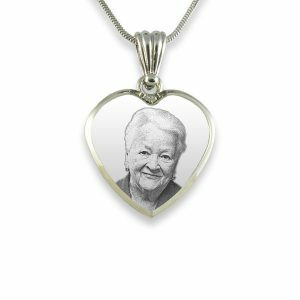 The videos are of 925 Silver Photo Pendants we have produced. 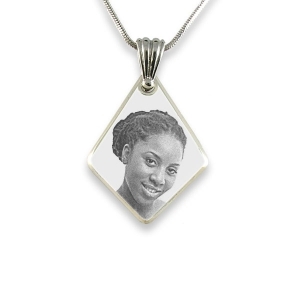 The Photo is visible when light reflects off the face of the pendant.